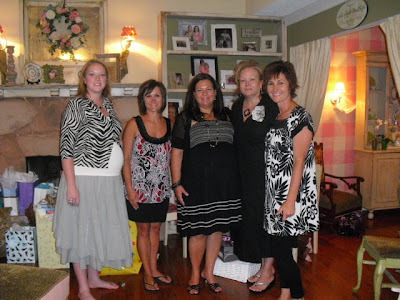 I had my fourth and final baby shower on Friday night. 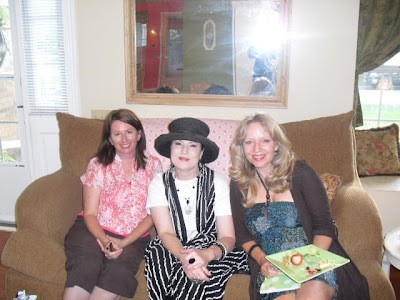 This one was hosted by the girls from Golightly's and shared with Jenn. She is due with a boy 2 weeks after me. It was so fun to have a joint shower! 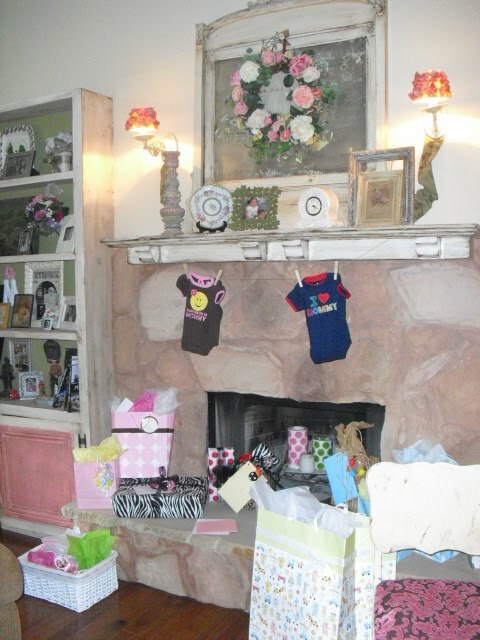 Everything was decorated so cute! 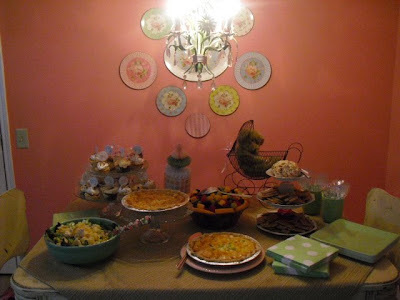 The best part was the food! Jennifer owned the tearoom at Golightly's until April and she and I worked together there. 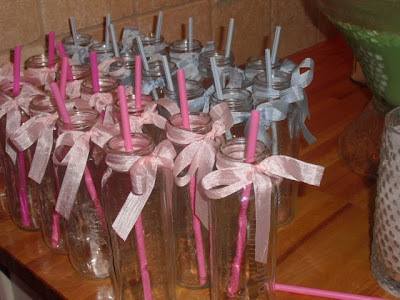 She made all my favorites for the shower. 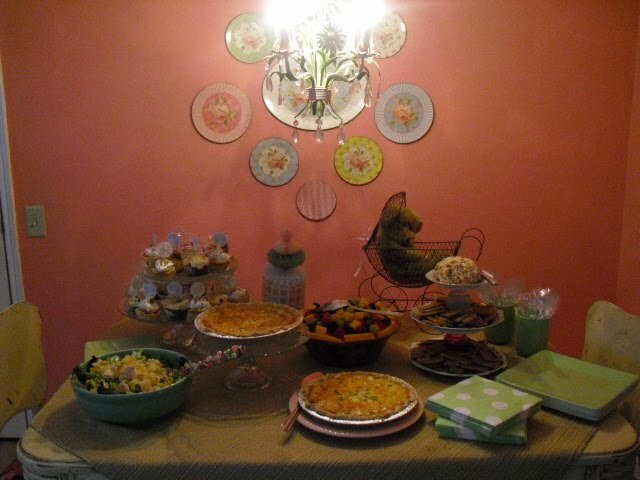 Yummy quiche, chicken salad, and lots of desserts! I miss that food! 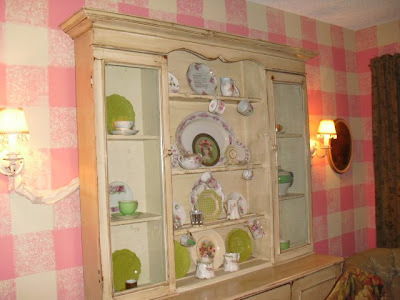 I had to get some other pictures of her house to share with you, because it is so stinkin' cute! Have you ever seen a gingham painted dining room? 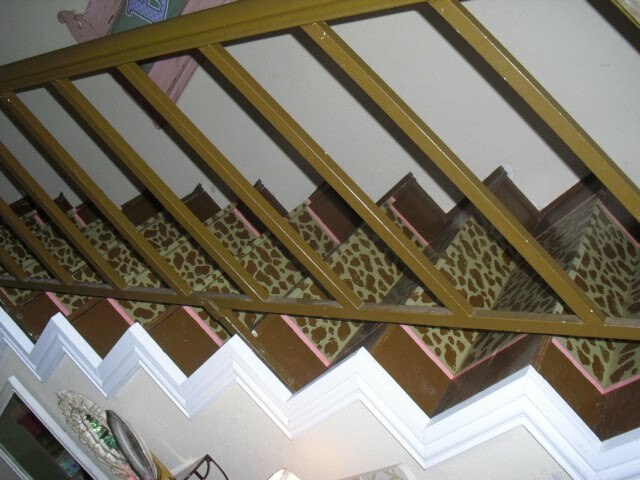 And fun animal print stairs? Just for the record, her husband is a manly man and is OK with all the pink. Real men are. He's a fire fighter too AND was a Navy SEAL! 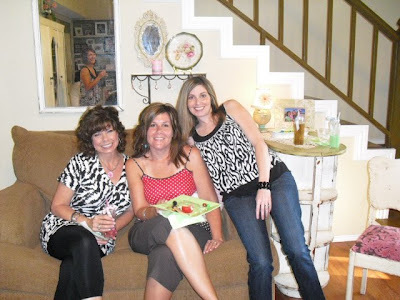 Thanks girls for a fantastic shower. 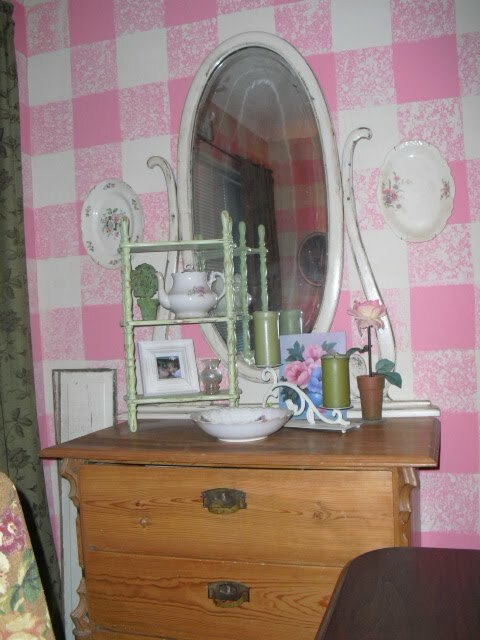 The house IS really cute. Can't wait to see pictures of your little one. Girls are the BEST! 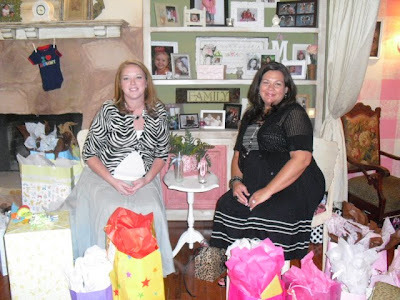 Glad you had a lovely time at your "final" shower! I love her style! It is so fun and unique! Hi Dina, I didn't realize you had worked at Golightly's, I love that place. Just wish I were closer to stop in there. Also, congrats on your baby! And, thanks so much for your sweet comment. I'll be watching for pics of your newest family member. Have a great rest of the evening. I can't wait to see all your new goodies at use with the new baby! 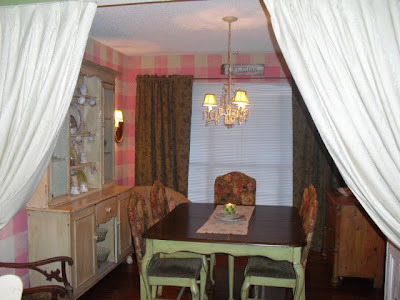 I found your blog through another persons blog and I just LOVE coming back to look at all your pictures of your house! 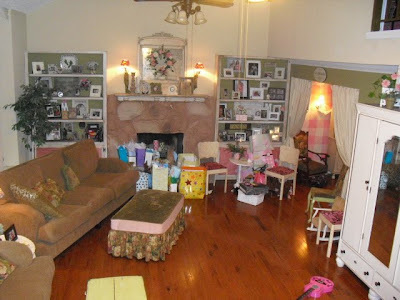 You totaly inspire me to decorate and your house looks so warm and inviting!!! 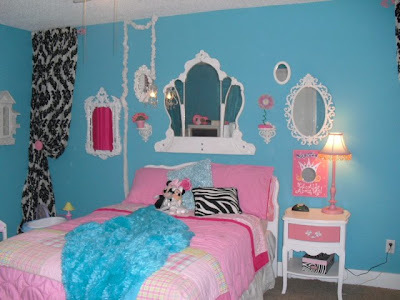 What a beautiful girls room!Gorgeous Bed, lot of style and charme! Love your home, love your blog. Lots of love going on, here. inspiring indeed!